ANLE, the Academia Norteamericana de la Lenga Española, is the United States’ branch of the Real Academia Española (RAE) — or, more precisely, of ASALE, the international organization of which the RAE is the best-known member. I’m a huge fan of the RAE and have previously written about it here, here, here, and here (slides 4 and 5). Membership in ANLE is limited to fifty outstanding proponents of the Spanish language in the United States, including academicians, writers, and journalists. New members therefore join ANLE only occasionally — when an existing member retires or passes away — and their induction is always celebrated with a scholarly yet joyous event. I’ve previously attended one such induction. The order of business is always the same. First, the inductee is introduced and makes a speech (an academic discourse). Then another member gives a speech in response, and the director of ANLE officially welcomes the new member. The next ANLE induction, on February 15 at the Instituto Cervantes in Manhattan, promises to be exceptionally interesting. The new member is Francisco Moreno-Fernández, the Executive Director of the Instituto Cervantes at Harvard University, a member of Harvard’s oddly punctuated “Committee on Ethnicity, Migration, Rights,” and a professor of Hispanic Linguistics at Spain’s University of Alcalá. Moreno’s field is sociolinguistics, and his inaugural lecture will be on “Perfiles del español estadounidense.” You can download a flyer for the event here. Besides the inherent interest of this event for anyone who cares about Spanish in the U.S., it will be personally meaningful for me: I studied linguistics at Harvard, and wrote my undergraduate honors thesis on a sociolinguistics topic. Small world! 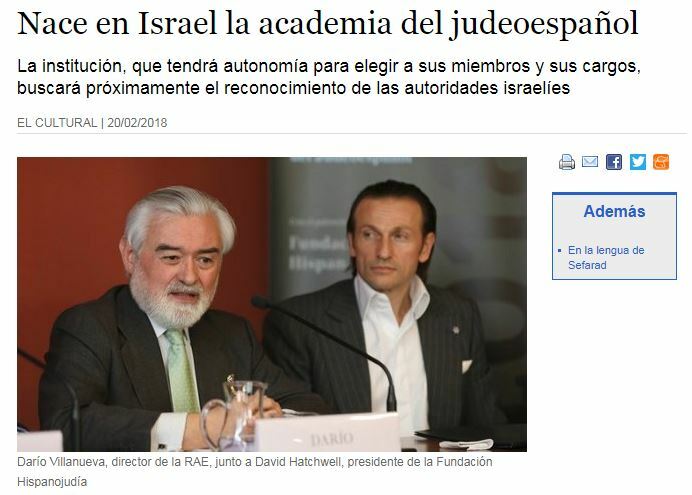 This entry was posted in Spanish in the world and tagged ANLE, Francisco Moreno-Fernández, Harvard, Harvard EMR, Instituto Cervantes, RAE, Real Academia Española, Universidad de Alcalá on 12 February, 2017 by jhochberg. Today was a dream come true for me: I visited the seat of the Real Academia Española. If you’ve been reading this blog for a while, you probably already know that I’m a big fan of the RAE. This visit was therefore a top priority for my linguistic tour of northern Spain. I also wanted to use the RAE’s library to look at a specific book that is not available in the United States. The seat of the Real Academia Española, just behind the Museo del Prado. The RAE is not generally open to the public, but the head of the Academia Norteamérica de la Lengua Española, Gerardo Piña-Rosales, kindly contacted the RAE to arrange for me to take a tour. As it happened, a local public school had scheduled a class trip to the RAE on my preferred date and time, so I was simply added to this group of very well-behaved kids. We saw a video about the RAE (see below) and then visited the principal rooms, including meeting rooms, the lecture hall, and various libraries. My two favorite rooms were the coat room and the plenary meeting room. The coat room is fun because each hook is labeled with a member’s name, and they are ordered by their year of admittance to the RAE. I was happy to see the designated hooks for one of my favorite writers, Arturo Pérez-Reverte (whose work has popped up in my blog here and here), and the linguist Inés Fernández Ordóñez, whose research on leísmo I’ve cited here. The plenary meeting room is where the RAE convenes to vote on proposed changes to their dictionary, spelling guide, or grammar. One letter of the Spanish alphabet, either upper-case or lower-case, is carved into each chair around the table. This reflects that fact that each membership position on the RAE corresponds to a letter: when member P dies, for example, a new member is appointed to position P. Our tour guide made sure to point out, however, that each member is NOT responsible for the section of the dictionary corresponding to his or her letter. (Perhaps this is a common misconception?) They aren’t even required to sit in their corresponding chair. RAE plenary meeting room. A different letter of the alphabet is carved into each chair. When I get home, I’ll have to write additional posts to share other tidbits I learned about the RAE, and also the fruits of my research session in the RAE library. This entry was posted in Linguistic tour of northern Spain, Spanish in the world and tagged ANLE, RAE, Real Academia Española on 14 June, 2016 by jhochberg. Last night I attended an event of the Academia Norteamericana de la Lengua Española (ANLE), the United States branch of the Real Academia Española. The event was the induction ceremony for ANLE’s newest member, Eduardo Lolo, a professor at CUNY’s Kingsborough Community College. For this linguist, the event was Spanish hog heaven. First, ANLE’s General Secretary, Jorge Covarrubias, introduced the inductee. Sr. Covarrubias is from Argentina, and his cadences were delightfully Italian. (In case you didn’t know, some 70% of Argentinians have Italian blood, and the Spanish there shows definite Italian influence.) Prof. Lolo then spoke. He is from Cuba and his Spanish sounded completely different from Sr. Covarrubias’s. Understanding him was at first rough going for this non-native speaker, but I got the hang of it after a few minutes. Finally, ANLE’s director, Gerardo Piña-Rosales, critiqued Prof. Lolo’s presentation. He is from Spain, so this was yet another accent, one that I am more familiar with. All three men spoke beautiful, erudite Spanish, elegant yet crisp and communicative. It was a treat to hear these three different accents produced at such a high level of linguistic sophistication. I shouldn’t neglect to say that the subject of Prof. Lolo’s talk, and Sr. Piña-Rosales’s critique, was children’s theater, a topic that I knew nothing about, and in fact had no idea had been the topic of academic research. Now I know a little more, and am impressed with how rich the subject is. Lo pasé muy bien; gracias, ANLE. This entry was posted in Spanish in the world and tagged ANLE, Eduardo Lolo, RAE, Real Academia Española, Spanish, Spanish accents on 24 October, 2015 by jhochberg. As an example, if you mouse-hover over Cuba, you will see that the country has 1892 acepciones, or lexical entries, in the dictionary. Clicking on the country brings you to a list of these entries. Some words on the list are used only in Cuba, such as abakuá, meaning a member of a men-only secret society. Others are general Spanish words with uses specific to Cuba. For example, in Cuba abanico ‘fan’ can refer to a wooden device that signals to a train conductor the correct branch of a track fork to take. To my disappointment there are no acepciones for the United States, even though we have our own branch of the Academia, and more Spanish speakers than Spain. In contrast, the Philippines have 88 entries even though Spanish is no longer spoken there. Not fair! This entry was posted in Spanish in the world, Vocabulary and tagged Cuban Spanish, RAE, Real Academia, Spanish, Spanish dialects on 29 December, 2014 by jhochberg. I woke up this morning determined to nail down citable examples of something I’d read online and in Ralph Penny’s A History of the Spanish Language: that words like drama, enigma, and tema, which are masculine in modern Spanish, were often treated as feminine in earlier forms of the language. These -ma masculine were borrowed from Greek via Latin; they were neuter in gender in both ancient languages. However, the RAE’s first dictionary did not back up BlogoLengua’s examples. The words were either not in the dictionary (apotegma, fantasma, sofiama) or defined as masculine (clima, dogma, drama, enigma, primsa) or as ambiguous in gender (aroma, cisma). Columns further to the right (cropped out here for display purposes) include the author, title, and country of each work cited, its theme (novel, legal document, etc.) and publication data. 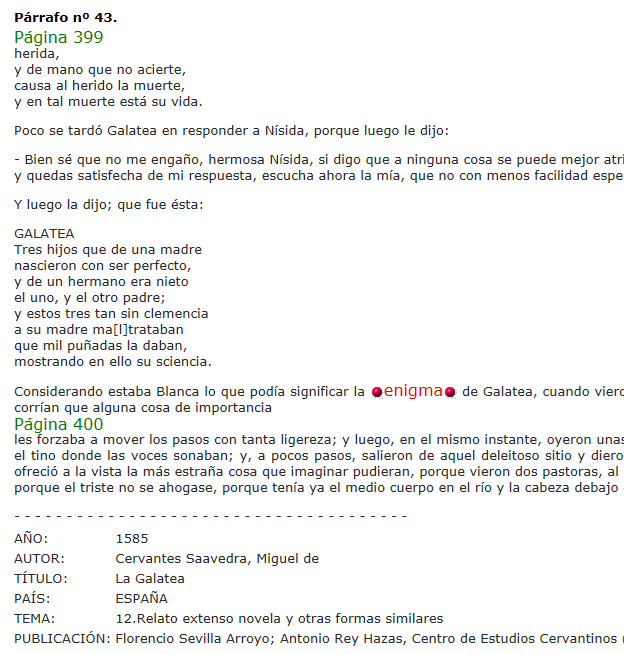 What could be a better example of early feminine usage of -ma masculines than la enigma de Galatea? That one is going straight into my book. Using CORDE I was able to verify most of the other words listed in BlogoLengua. Examples ranged from the title of a 16th century work by Juan Rufo (Las seiscientas apotegmas) to a line from a poem by Lope de Vega about the climate of the New World (¿Es la clima ardiente o fría?) and a reference in a 15th century medical text to las dogmas evangelicas. Thank you, RAE, for a truly enjoyable and productive intellectual morning. This entry was posted in Nouns and pronouns and tagged CORDE, masculine, masculine and feminine, RAE, Spanish, Spanish noun gender on 29 November, 2014 by jhochberg. Yesterday I came across an interesting article on El País about the founding of the Real Academia Española, one of my favorite institutions. The article relates, with a lamentable lack of detail, how a group of eight Spaniards began meeting in 1713 to create the first Spanish dictionary. Three other colleagues soon joined the project, it received royal sanction the following year, and the rest is (linguistic) history. Missing from the article are the founders’ identities (besides the Marqués de Villena) and backgrounds (more nobility? writers? scholars?). Still, it’s an inspiring tale. As usual, I read the article with an eye out for unfamiliar vocabulary. All I encountered was a novel (to me) expression: the author compares the RAE’s founding to cuatro gatos [que] se lanzaban al abismo (“four cats who jumped into an abyss”). Lanzarse al abismo was clearly a metaphor for starting a venture into the unknown. Cuatro gatos, on the other hand, seemed purely idiomatic. Thanks to an appeal to the friendly folks on the wordreference.com Spanish-English vocabulary forum, and a Google search that yielded similar results, I learned that cuatro colloquially refers to a small quantity (in English we’d say “a handful”) and gato can be slang for “person”. (Wordreference.com itself gives a slang interpretation of gato as “person from Madrid”, but the usage seems to be more general.) So the mystery sentence boiled down to “a small group of people started an uncertain venture”. I love the parallel between this use of gato and the English slang meaning of cat as “a cool person”. The choice of cuatro to stand for “a handful” is also pleasing. As a rule of thumb, I think of three as “a few” and five as “several”; four is right in between. From a literary perspective it was also rather bold to mix literal numbers (8 and 11 founding members) with the metaphorical number 4. This entry was posted in Spanish in the world, Vocabulary and tagged cuatro gatos, El País, Marqués de Villena, RAE, Real Academia, refrán, refranes, Spanish idioms on 3 December, 2013 by jhochberg. I’ve been a fan of the Real Academia Española, or RAE, the Spanish language Academy, for years. The Academy, in case you’re not familiar with it, is a scholarly organization of professors, writers, journalists, and translators. Every Spanish-speaking country has its own Academy. Together, the various Academies form the Asociación de Academias de la Lengua Española. The RAE is the Academy of Spain itself, founded in 1713. However, the term RAE is often used to refer to the overall Asociación, both for convenience and because the RAE retains a lead role: for example, hosting the Asociación‘s on-line dictionary. Here are the top 10 reasons why I’m a fan of the Academia system. This slideshow is full of links; please let me know if any fail for you. 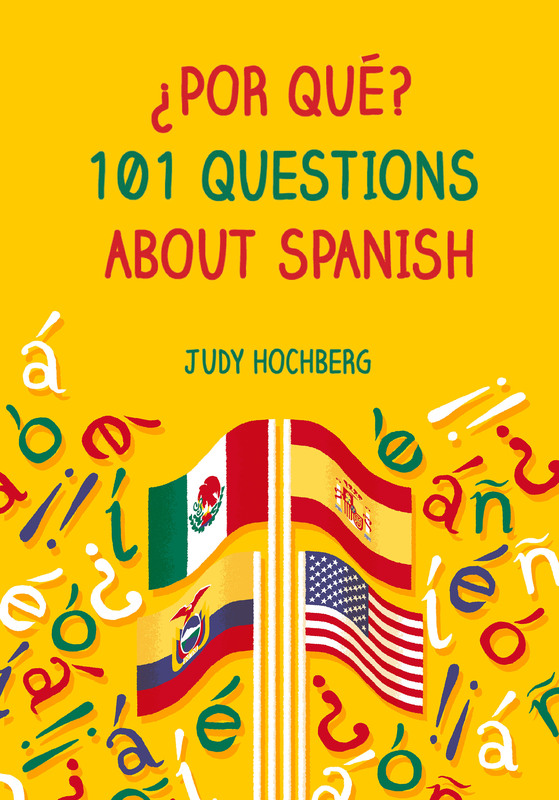 This entry was posted in Spanish in the world and tagged ANLE, ASALE, RAE, Real Academia Española, Spanish language academy on 12 September, 2013 by jhochberg. I enjoyed a recent article in the New York Times about new economic-crisis-inspired vocabulary in Spanish and other European languages. The Spanish terms mentioned are the following. I’ve included glosses for non-transparent meanings, and links where available. This cartoon illustrates both “yayoflauta” and “indignado”. Make sure to check out the other cartoons on the site. According to the Times article, the Real Academia Española, or RAE (the international Spanish language Academy) has added or modified 200 crisis-inspired words this year, including several of those above. Being a big fan of the RAE, I went onto their website to confirm the Times‘s reporting. I found two contradictions: neither serious, but I’m listing them just to be thorough. The Times reports that población activa refers to people old enough to work, but the RAE definition (see link above) doesn’t mention age. Also, this is not a recent addition or modification. I couldn’t find prima de riesgo in the RAE, although the dictionary recently added nine (!!!) other new risk-related expressions. A technical note: some of the links above are to special pages on the RAE website for new or modified words. It’s possible that these links will malfunction once the new words or meanings are incorporated into the main RAE dictionary. In that case, you will be able to find them using the normal RAE search page. This entry was posted in Spanish in the world and tagged burbuja, crisis económica, RAE, Real Academia, Spanish crisis, Spanish economic vocabulary, yayoflauta on 4 August, 2013 by jhochberg.